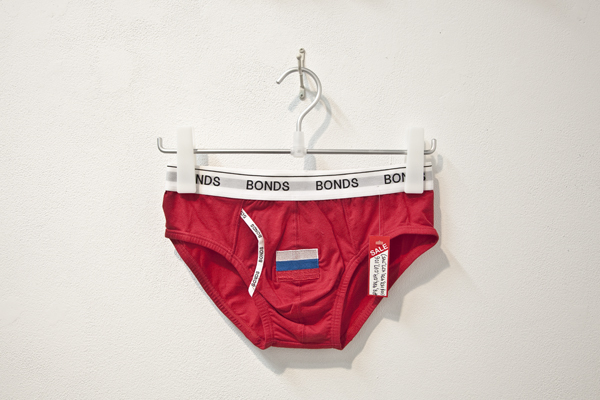 The Australian iconic brand “Bonds” are transformed into a play on the government bonds of each G20 country. 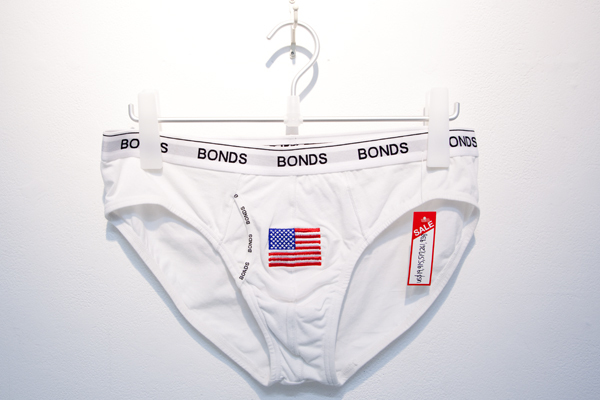 The “price” on each pair of pants is the amount of government debt of each nation, written in the nation’s currency and in US dollars, the size of each pair of pants relates to the percentage of this debt in comparison to gross domestic product. 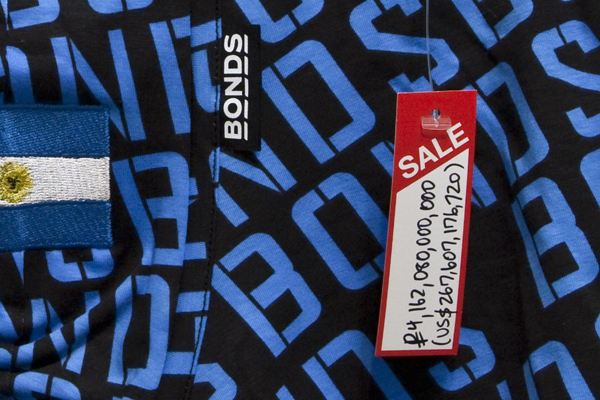 How much is a “package” worth?